This romantic comedy stars Barbra Streisand and Jeff Bridges. They both teach at Columbia University. Good looking but stiff and awkward, Gregory (Bridges) has had his share of troubles with the gorgeous but none-too-stimulating women he dates as well as with engaging his students. Rose (Streisand), an intelligent, popular teacher with limited dating options, struggles to find her self-worth and confidence in relationships. Gregory advertises for an intellectual companion, “physical appearance unimportant,” and unbeknownst to Rose, her beautiful sister (Mimi Rogers) responds to the ad for her. This sets the stage for a meeting and subsequent relationship between Rose and Gregory. 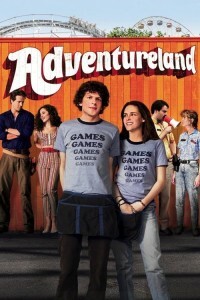 Respect and friendship vs. attraction and desire result in a witty, enjoyable film. Lauren Bacall and Pierce Brosnan have fun secondary roles in The Mirror Has Two Faces. Clive Owen and Juliette Binoche play an art teacher (Binoche) and an English teacher (Owen) who work at a Maine prep school. They both are battling their own demons when they meet. They soon begin an open debate whether words or pictures have the greater power. It is the battle of right brain versus left brain dominance. The war between the teachers becomes a school-wide event. 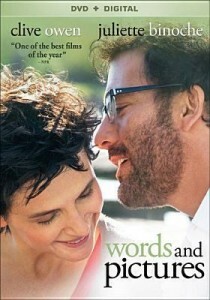 Words and Pictures is a unique movie. Owen and Binoche are wonderfully matched in a Hepburn/Tracy kind of relationship. This is a movie not to be missed. It is intelligent, witty, and presents a “no frills” relationship between two adults. 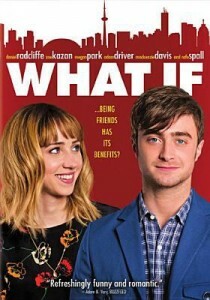 In this offbeat comedy, Wallace (Daniel Radcliffe) and Chandry (Zoe Kazan) meet at a party, strike an instant connection, and become best friends. She has a boyfriend and he’s been burned too many times. Can the pair really be just friends? What If is a sweet and smart romantic comedy set in Toronto with both funny and dramatic touches. What if your best friend was a girl? What if you liked her for more than just a friend? What if you don’t know how to tell her? This charming film stars Daniel Radcliffe as Wallace, a med school dropout rebounding from recent heartbreak, who finds himself questioning all of these things. Hugh Grant plays a has-been pop star from the 80s doing backwoods promotional appearances when he is approached by a teen sensation to write a song for her. His strength has always been music, not lyrics. He unexpectedly finds a struggling young writer (Drew Barrymore) who insists she is not a lyricist. In the tradition of romantic comedies, we can figure out what happens but it is an entertaining journey complete with good old fashioned 80ish songs and music videos. 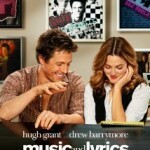 Despite the gap in their ages, Barrymore and Grant make a believable couple with chemistry bouncing off the screen in Music and Lyrics. This new film is a fresh take on Shakespeare’s comedy of the same title. Much Ado about Nothing is directed by Joss Whedon (The Avengers, Buffy the Vampire Slayer) and Whedon fans will recognize many familiar faces, as all of the actors have worked with Whedon in previous projects. In fact, it was made at Whedon’s house in the downtime during filming The Avengers! 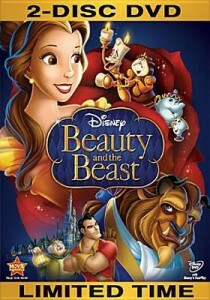 The film uses the original Shakespeare text, but in a modern setting. It’s the actor’s interpretations and physical humor that will have the audience laughing, especially Benedick’s (Alexis Denisof) background antics. This is a beautiful, well-made film that is good for both romance and comedy.